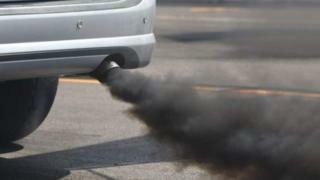 People on low incomes living in a new clean air zone could be given £2,000 towards a less polluting car. Birmingham City Council has published the next steps in plans to charge the most polluting vehicles for entering the city centre. Following public consultation, it has put forward a number of support measures to help people once it comes into force. But it depends on it receiving £36m from the government. In June, the council revealed plans to create the clean air zone from January 2020, within the A4540 middle ring road. It hopes it will help prevent 900 premature deaths a year from air pollution. In the latest report, to be discussed by the council's cabinet on Monday, it has put forward a number of exemptions and support measures for residents, including the scrappage scheme, where low income families living within the zone could be given a £2,000 cash payment toward the purchase of a "compliant" vehicle. But the measures would cost £36m of the scheme's total cost of £60m, and are reliant on the government's agreement to fund them. Councillor Waseem Zaffar, cabinet member for transport and environment, said he was "very confident" it would provide the council with the resources needed. Consultation on the scheme has also been the largest ever by Birmingham City Council, with 10,392 responses. But 53% of individuals who took part said they thought it would have negative impact on them and their families. Councillor Zaffar said the council has listened to what they have said, but it has a "major challenge" to tackle air pollution. He said it is now working on a separate report into charges vehicles would have to pay. He added the help measures that will be available will be released within "weeks", before the city council submits its final business case to the government.